Is the Alpha Course Leading People Astray? The Testimony of a Modern-Day Prodigal – My name is Douglas Slack, and I wish to share my testimony with you, of how I became a Christian. I am a retired engine fitter at the Derby based aero engine maker Rolls-Royce, and I have lived in the Derbyshire town of Wirksworth all my life. I am married to Winifred and we have three sons. My wife and I are members of Crich Baptist Church. Although brought up in a non-Christian home I had to attend the local Methodist Sunday School, where I was a troublesome pupil. The only piece of the Bible I remembered was the verse “What shall it profit a man if he gains the whole world and loses his own soul?” Religion for me was always a ‘turn-off’. However, when I was 18 years old I worked with a fellow apprentice who was a born-again Christian. After much ridicule, argument and discussion I later came to make a confession of salvation at a local Cliff College outreach in Wirksworth. 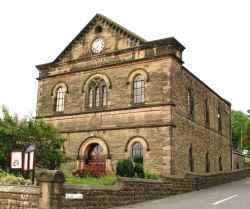 (Cliff College is a Methodist Bible College at Calver, in Derbyshire). However, the attractions of the world for an 18 year old were very great and I thought I was missing out on the pleasures of this life. Alcohol was my weakness and I soon found myself in its vice-like grip. Like the prodigal son I went into a ‘far country’ for about seven years. I was two years in the Royal Air Force, and then, when I came out and got involved with a group of heavy drinkers, life went rapidly down hill. This took a heavy toll on my health and wealth. Often in the morning after drinking ten pints of beer I could not remember what had happened the night before. Frequently we were in the pubs until the early hours of the morning. In 1960 however I had my ‘wings clipped’ in that I was convicted for a drink-driving offence for which I received a three years driving ban and a heavy fine. This restricted me to the local pubs in Wirksworth. Soon afterwards the local Salvation Army came round the pubs and invited us to go to their place of worship for coffee and eats, which we did after closing time. I was sobered up somewhat when a young lady Salvation Army officer came to me and said that God wanted her to speak to me! I can’t remember what she said but it brought me under conviction regarding my life-style and my need of Jesus Christ as my Saviour. Drink did not give me the satisfaction or fulfillment that I craved for as a young man of 25. I started to realise there was a purpose in life that only God could fulfill. He created us and made us with that God-shaped hole only He can fill. At a New Year’s Eve Watch Night service in 1960 I made a commitment to give my life to God by trusting in Jesus Christ as my Saviour. I believed He had paid what was required to give me a clean slate by His death, which had united me with His Father in heaven. It is now over fifty years since I stopped drinking and began to base my life on spiritual principles. Everyone said it wouldn’t last, that it was a ten day wonder, something we all go through etc., but, ‘Praise God!’ He kept me and has led me from strength to strength. I have moved in different church circles – Salvation Army, Methodist, Pentecostal, C of E and now Baptist – but always believed in the same Jesus Christ. It was just that each had different ways of worship and interpretation of the Scriptures. It was during my thirty years in Pentecostal churches I met my wife in the Assembly of God church, at Matlock. I give thanks to God for a life worth living and assurance of eternal life in heaven when it is over. One dreads to think where I would have been without Him. After the drink-driving conviction I later learned that one of the magistrates wanted to send me to prison. 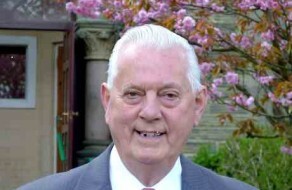 A few years later this same man (Councillor Norman Harrison, after whom the main road into Wirksworth is named – ‘Harrison Drive’) came to my house and asked me if I would preach for him at his local church in Middleton! When God does the converting a person truly becomes a new creature in Christ Jesus! Jesus said, “I have come that you might have life and have it more abundantly.” Why don’t you take Him at His word and prove it? I hope that my testimony may have helped you to do just that!